Are you the type of girl who plays hard-to-get and only picks up the phone after a few rings? Do you wait a prescribed number of days before returning a guy's messages? Do you turn to self-help experts and your girlfriends to decipher your significant other's every move instead of, well, just asking him what he's thinking or feeling? 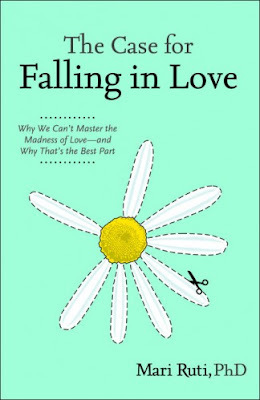 If so, prepare to throw everything you think you know about love out the window and pick up a copy of The Case for Falling in Love by Mari Ruti, PhD. Ruti draws on gender studies, psychoanalysis, philosophy and pop culture to argue that the current self-help culture is doing more harm than good for prospective lovers. Love, she asserts, is a genuine connection between two individuals--sometimes messy, often unstructured--but that is precisely what's so wonderful about it. By advising prospective lovers to follow petty rules and play games with each other, self-help authors are diminishing the wonder of love. Moreover, many self-help authors base their advice on outdated gender stereotypes. Following it is likely to land you exactly the sort of man it depicts: a sullen, insensitive type with low emotional intelligence who's unlikely to share his feelings and gets a kick out of being the macho man to your damsel in distress. So what should a modern girl do instead? Ruti advises those looking for love to just let it unfold--no games, no strategems, just honesty. Stop trying so hard to force everything. Stop viewing men as creatures from another planet. And even if a relationship doesn't work out, love can teach us some profound life lessons and offer an opportunity for self-reflection and growth. Ruti's writing style is simple, straightforward and compulsively readable as she leads readers by the hand and explores the nuances of love. Her wide-ranging examples include anything from anecdotes, emails with friends and Freudian and Lacanian theory to Plato and E.T.A. Hoffmann. As a Gossip Girl fan, however, my favourite section was Chapter 4, in which she argues that 9/10 times Gossip Girl offers a better portrait of modern love than any self-help book. (The introduction actually made me LOL: "There are times when I can't decide if I would rather have Nate or be Nate. I want to know which shampoo he uses.") 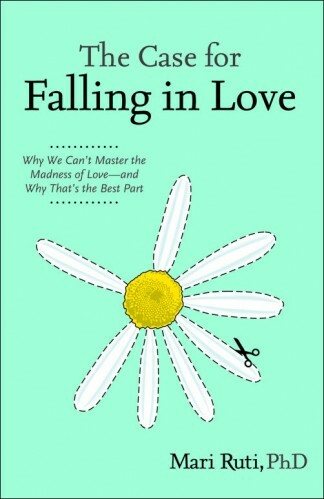 If you're looking for the perfect antidote to the self-help book, The Case for Falling in Love is it. As someone who rolls her eyes anytime 'The Rules' or any other dating books are quoted, this is definitely something I'd pick up! I agree that all the scheming and strategizing will only sabotage a relationship or attract the wrong kind of guy. Although I must say that even Gossip Girl has a fair amount of unncessary game playing, though I do love the show too. I want to be WITH Nate. LOL. Sounds like a great book! Anya, I've heard of it and kind of had an idea of what it was about. Sleazy.